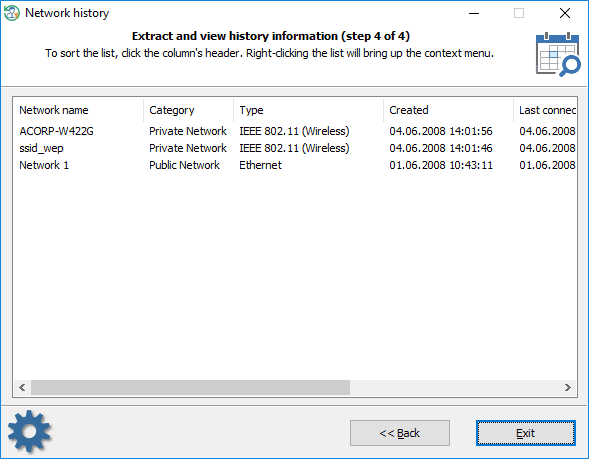 The network connection history displays all available networks along with their installation and last connection dates. 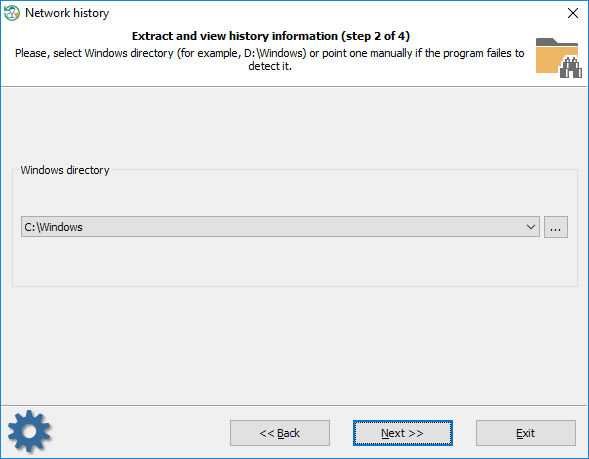 Select the target Windows folder first. The program should do it for you. Set up additional output filters to display only networks of your interest. 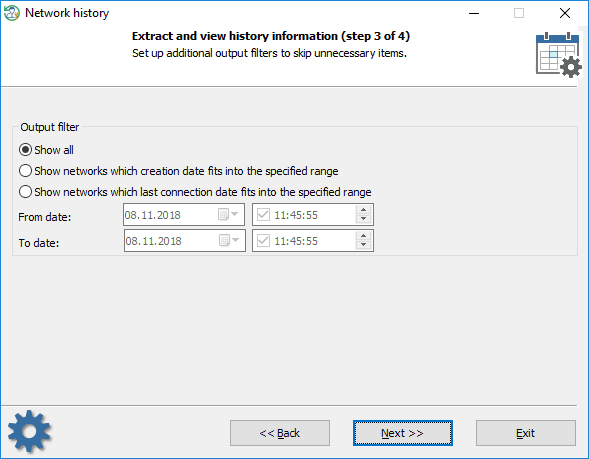 The extracted networks usually contain the date they were created at and the last connection date. To sort the list by dates, click one of the correspondent column.